My dear friend Chris from Just a Girl thought it would be fun for a few of us to share our current favorite makeup products with all of you! 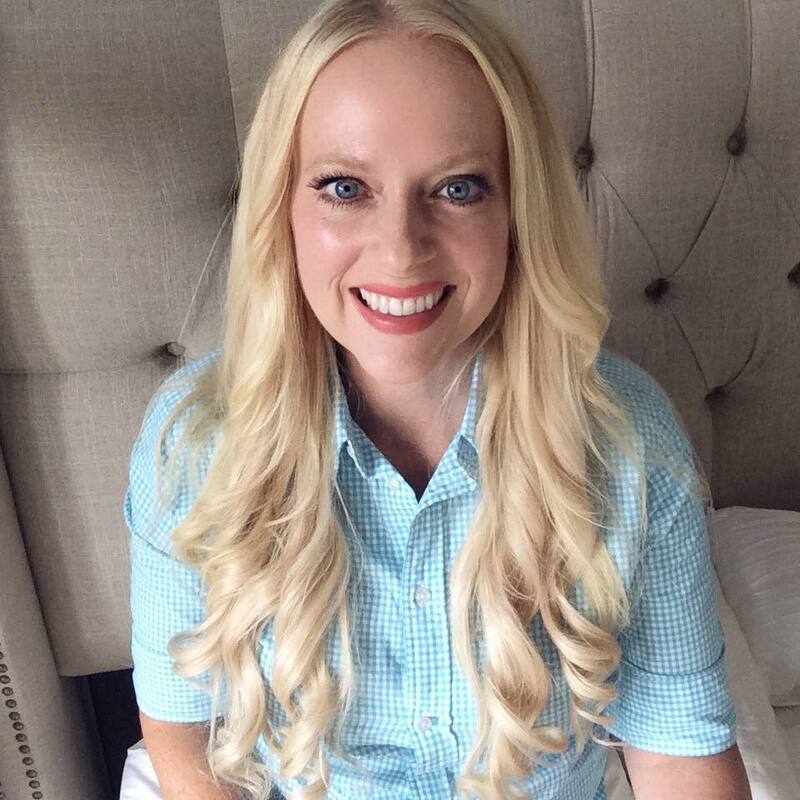 I love hearing about beauty products that are working for others, so today I’m sharing what’s in my makeup bag. If you are viewing this post on a phone, the products may not show up correctly so in Chrome click on the three vertical dots at the top of your phone’s browser and scroll down to “Request Desktop Site”. If using Safari on your phone, click at the bottom on the icon of the up arrow over a box and then scroll through the options to the right until you see “Request Desktop Site”. This is a great trick to use whenever a mobile site is not displaying properly! Ever since passing over the threshold of 40, I’ve noticed a definite change in my skin. My under-eye circles are a little more prominent, my fine lines stand out even after I smile, and makeup seems to settle on my skin differently. 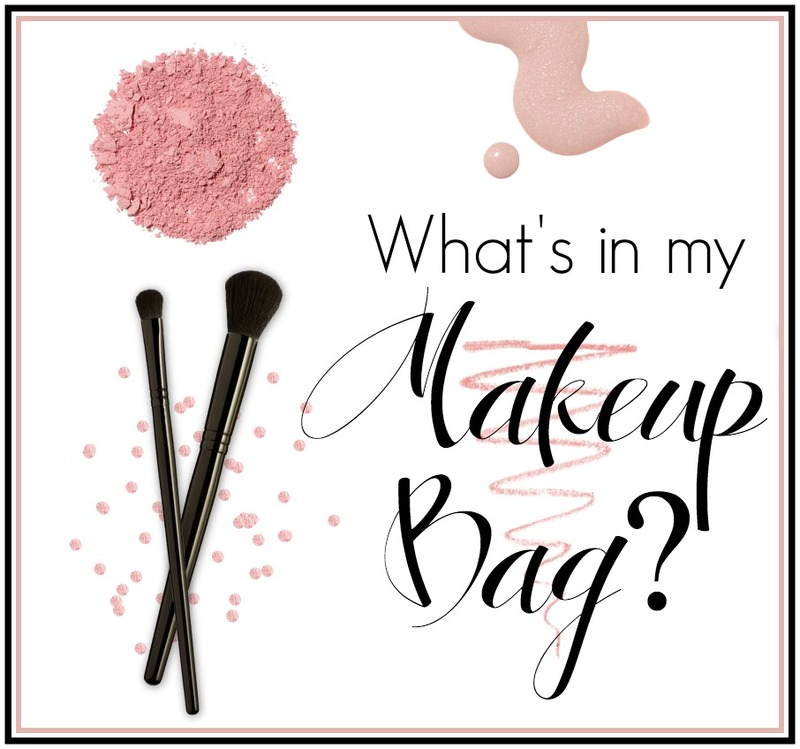 I’m a drugstore makeup kind of girl, so perhaps it is time to venture over into the more expensive lines–but for now I’ll show you what is currently working for me! All links in blue are affiliate links and will take you to the product page once clicked. You can also click on the image pictures to be taken to the products that interest you. If I’m going to be on camera, or if I’m really trying to look good (which isn’t most days of the week), I will use a makeup primer. My current fav is Pixi by Petra Flawless & Poreless Primer. To put it bluntly, it’s like spackle for your face. 🙂 I follow this with Maybelline Instant Age Rewind on my dark circles. This is a great product, but I’m not crazy about the applicator. Just remove the applicator sponge and use a makeup brush to apply the product. If I have any blemishes, I’ll cover those with NYX Wonder Pencil. This pencil is also great for the dark circles that appear in the corners of my eyes. I then use L’Oréal Paris Infallible Matte Foundation applied with a makeup sponge. I really like this foundation because I have oily skin and it creates a nice matte finish that evens out my skin tone and stays put all day. If you have dry skin, this isn’t the foundation for you. On my high cheekbones and anywhere I want a little glow, I use NYX Liquid Illuminator. It gives a beautiful dewy sheen that makes you glow. For blush, I always use a cream blush rather than a powder. I’ve found that cream blushes stay put all day and look more natural on me than powder blushes. Right now I’m using L’Oreal Visible Lift Blur Blush. I don’t use a powder very often, but if it’s humid out–or if I’m sweating and shiny for some reason–I’ll use Pixi Flawless Translucent Finishing Powder. This powder isn’t pigmented so it does go on rather white and takes a bit more blending than pigmented powders. Tip: Just as your tools and paint brushes are so important when you DIY, your makeup brushes and applicators make ALL the difference in how your products will look on your face. I like to use EcoTools Makeup Brushes. I recently started filling in my incredibly blonde eyebrows, and I’m still getting used to the look. Full eyebrows as a trending beauty feature have taken on a life of their own over the past several years, and I’m still catching up to this trend! I use Maybelline Eye Studio Brow Precise in Blonde and it’s great. If you are a true blonde and don’t want your brows to look too dark, then this is the pencil for you! For eyeshadow, I use NYC Lovatics Natural Eye Palette. It’s a copycat of Naked’s popular eye palette and is very similar. The shadows are not as pigmented as the Naked palette, so you do have to use more product to achieve similar results. I have very long eyelashes, but they don’t always curl the way I want them to. Using Revlon’s Gold Series Lash Curler helps my lashes look longer. I use L’Oreal Paris Voluminous Million Lashes Mascara in the gold tube and love it! I use the Brownish Black shade which looks more natural with my hair color and complexion. For eyeliner, I like Revlon Colorstay Liquid Liner. It’s easy to create a winged look with this liner. For my lips, I start out with Revlon Lip Stain in Fiery and then outline my lips with L’Oreal Paris Le Matte Lip Pen in 102. I fill them in with Sonia Kashuk Lustrous Shine Lip Crayon in Pink Lily and top them with my current favorite lip gloss, NYX Butter Gloss in Vanilla Cream Pie. Makeup can only take you so far! Having a good skincare routine is vital to looking your best. To cleanse my face, I use Neutrogena Pore Refining Exfoliating Cleanser on a Clarisonic Mia 2. How about you? I’d love to hear some of YOUR beauty secrets! Have you tried any great products recently that are worth noting? OK I have to try this concealer now! 🙂 Great list my friend, you are beautiful!! Thanks friend! I noticed we use the same concealer. 🙂 It’s good stuff!